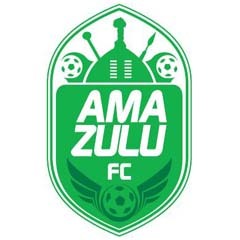 Durban - AmaZulu were held to a draw for the second straight time in the Absa Premiership when the played to a 2-2 stalemate against Santos at the Moses Mabhida Stadium on Saturday afternoon. Goals from Thamsanqa Sangweni and Josef Lekata brought Usuthu back into the game after Santos had taken the lead through Wayne Arendse and Eleazar Rodgers. The visitors broke the deadlock in the 18th minute from a goalmouth scramble when Tapuwa Kapini failed to hold on to a free-kick, allowing Jonathan Armorgam to play the ball across for Wayne Arendse to bury into the back of the net. However, Usuthu leveled matters just five minutes later when Sangweni converted from the spot after Dumisani Zwane had been brought down inside the box. Then Tangeni Shipahu had a great chance to put his side ahead in the 26th minute but his shot was pushed away by goalkeeper Dembo Touray, before defender Wayne Arendse cleared his other effort a minute later. Santos took advantage of these misses at the other end in the 33rd minute when Rodgers leaped ahead of his marker inside the penalty area to head home from a Salmaan King free kick. Roger Palmgren's men came close to cancelling the lead in the 67th minute when Ramson Zhuwawo connected with a corner kick from Kagiso Senamela, but could only watch his header going wide of the upright. However, the equaliser did finally arrive in the 82nd minute when Josef Lekata fired into the roof of the net from the right side of the box just a minute after coming on as a substitute. Santos almost stole the game five minutes later from another curled free kick from King, Kapini pulled off an acrobatic save to tip the ball over the crossbar. AmaZulu remain in eighth place with 40 points, while Santos are also still second from the bottom with 24 points.